Version 2.1 contains several improvements with respect to 2.0. Users currently working with 2.0 should have a look at the section "Changes leading to incompatible behavior" below and might need tiny adjustments in their input files. In 2.1 we restored more features of 1.3 that were missing in 2.0, so users still working with 1.3 could opt for an upgrade. 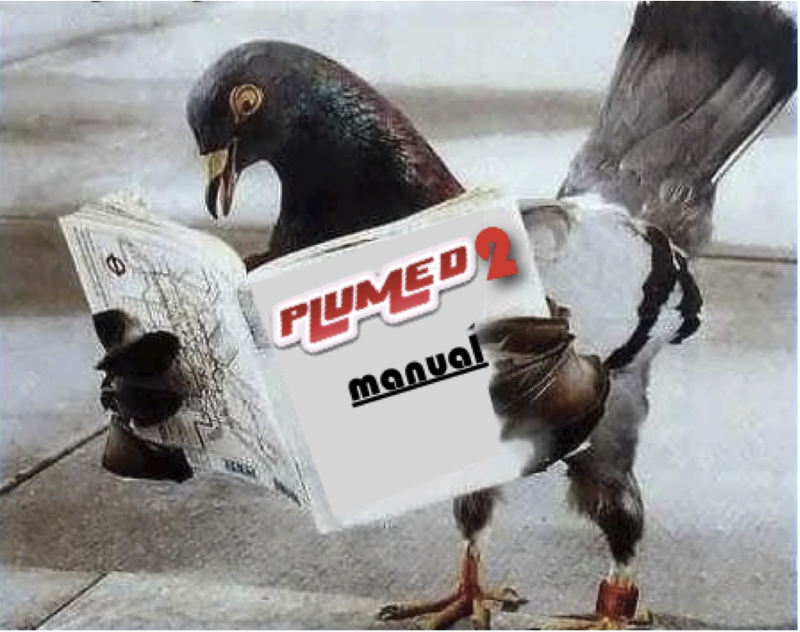 A tutorial explaining how to move from PLUMED 1 to PLUMED 2 is available (see Moving from PLUMED 1 to PLUMED 2). Below you find a list of all the changes with respect to version 2.0. Notice that version 2.1 includes already all the fixes in branch 2.0 up to 2.0.4. COORDINATION now skips pairs of one atom with itself. For multicolvars components calculated with LESS_THAN and MORE_THAN keywords are now labelled lessthan and morethan. This change is necessary as the underscore character now has a special usage in component names. In CONTACTMAP components are now labelled label.contact- \(n\). The command SPHERE has been replaced by UWALLS. New configuration system based on autoconf (use ./configure from root directory). Optional packages are detected at compile time and correctly enabled or disabled. An internal version of lapack and blas will be used if these libraries are not installed. Crystallization module, including Q3, LOCAL_Q3, Q4, Q6, LOCAL_Q4, LOCAL_Q6, MOLECULES, SIMPLECUBIC, TETRAHEDRAL and FCCUBIC. ENSEMBLE to perform Replica-Averaging on any collective variable. METAD : WALKERS_MPI flag (multiple walkers in a mpi-based multi-replica framework), ACCELERATION flag (calculate on the fly the Metadynamics acceleration factor), TAU option (alternative way to set Gaussian height in well-tempered metadynamics), GRID_SPACING (alternative to GRID_BIN to set grid spacing). Notice that now one can also omit GRID_BIN and GRID_SPACING when using fixed size Gaussian, and the grid spacing will be automatically set. COORDINATION : if a single group is provided, it avoids permuted atom indexes and runs at twice the speed. DUMPATOMS : PRECISION option to set number of digits in output file. GROUP : NDX_FILE and NDX_GROUP options to import atom lists from ndx (gromacs) files. In many multicolvars, MIN and MAX options can be used. HISTOGRAM : GRID_SPACING (alternative to GRID_BIN to set grid spacing), FREE-ENERGY flags in addition to standard probability density, additional option for KERNEL=DISCRETE to accumulate standard histograms. sum_hills : added options –spacing (alternative to –bin to set grid spacing) and –setmintozero to translate the minimum of the output files to zero. CONTACTMAP : parallelised and added weights. Gromacs 4.6.7 supports COMMITTOR analysis; can be now be used to perform energy minimization; now passes temperature to PLUMED (this allows temperature to be omitted in some actions, namely METAD and analysis actions). Notice that if you use runtime binding it is not compulsory to repatch, and that all combinations should work correctly (new/old PLUMED with repatched/non-repatched MD code). driver can now read trajectories in many formats using VMD molfile plugin (requires VMD plugins to be compiled and installed). In case VMD plugins are not installed, the configuration system falls back to an internal version which implements a minimal list of plugins (gromacs and dcd) (kindly provided by T. Giorgino). switchingfunction : added STRETCH flag. Negative strides in atom ranges (e.g. ATOMS=10-1:-3 is expanded to ATOMS=10,7,4,1). COORDINATION and DHENERGY with NLIST now work correctly in replica exchange simulations. Multicolvars with neighbor lists now work correctly in replica exchange simulations. Root-mean-square devations with align weights different from displace weights are now considerably faster. This will affect RMSD calculations plus other variables based on RMSD. COORDINATION is slighlty faster when NN and MM are even and D_0=0. Atom scattering with domain decomposition is slightly faster. Link cells are now exploited in some multicolvars. Derivatives are not calculated unless they are specifically required, because for instance you are adding a bias. Manual has been re-organized following suggestions received at the plumed meeting. An experimental PDF version of the manual is now provided (a link can be found in the documentation homepage). Added regtests for plumed as a library (e.g. basic/rt-make-0). plumed command has an additional flag (–is-installed) to probe if running from a compilation directory or from a fully installed copy (this is needed for regtests to work properly). Improved class Communicator. Many operations can now be done directly on Vectors, Tensors, std::vector and PLMD::Matrix. Patches for GPL codes (QuantumEspresso and Gromacs) now also include original code so as to simplify their modification. You can now use multicolvars in tandem with manyrestraints in order to add a large numbers of restraints. Can now do multicolvar like things in which each colvar is a vector rather than a scalar. This list is likely incompleted, if you are developing in PLUMED you are encouraged to follow changes on github. This release includes all the fixes available in branch 2.0 until 2.0.5. New patch for AMBER 14 (sander module only). This patch should be compatible with any PLUMED 2 version (including 2.0). It includes most PLUMED features with the notable exception of multi-replica framework. Changed definition in arbitrary phase of eigenvectors. This will change the result of some analysis method where the phase does matter (e.g. CLASSICAL_MDS) and make some regression test better reproducible. Fixed a portability issue in BG/P where gettimeofday is not implemented. Notice that this fix implies that one should execute again ./configure to have plumed timing working correctly. Fixed a linking issue with ALMOST, where bz2 was always used to link ALMOST to PLUMED even if it is not compulsory to build ALMOST. Fixed a wrong include in the GMX5 patch. Configuration is more verbose, a warning is given if a default option cannot be enabled and an error is given if an option explicitly enabled cannot be enabled. Added two new short tutorials to the manual (Cambridge tutorial and Munster tutorial). Fixed a severe bug on DRMSD - cutoff values were ignored by PLUMED. Notice that this bug was introduced in 2.1.0, so that it should not affect the 2.0.x series. Fixed a bug affecting LAMMPS patch used with a single processor. Notice that the fix is inside PLUMED, thus it does not necessarily requires repatching. Sander patch now works with multiple replica (no replica exchange yet). It also contains some fix from J. Swails. Configure now check better if compiler flag are accepted by the compiler. This makes configure on bluegene more robust. Sourceme.sh now sets proper library path in linux also. Fixed bug in GHOST : virial is now computed correctly. Fixed a serious bug in virial communicated from plumed to gromacs, for both gromacs versions 4.6 and 5.0. See #132. This fix requires gromacs to be repatched and could be very important if you run biased simulations in the NPT ensemble. Fixed a bug in the virial computed with FIT_TO_TEMPLATE when the reference pdb had center non located at the origin. Fixed a bug that could lead plumed to be stuck with domain decomposition in some extreme case (one domain with all atoms, other domains empty). Fixed a bug when COMBINE or MATHEVAL are used with PERIODIC keyword. Now when PERIODIC keyword is used the result of the calculation is brought within the periodicity domain. See #139. Updated internal molfile plugins to VMD 1.9.2. Included crd and crdbox formats to internal molfile. Added the checks in the driver to detect cases where molinfo does not provide box information (e.g. pdb). Added support for readdir_r when available, which makes opening files thread safe. Added a warning when using METAD without grids with a large number of hills. Allow external VMD plugins to be detected with –has-external-molfile. This is required to enable some regtest with amber files. Allow definition of variables where some of the components have derivatives and some haven't (#131). Improved travis tests with more debug options. Fixed NAMD patch. Masses and charges were not passed correctly, thus resulting in wrong COM or CENTER with MASS. This fix required repatching NAMD. Notice that this bug was present also in v2.0 but in a different form. More information here (#162), including a workaround that allows masses to be fixed without repatching. When installing with PLUMED_LIBSUFFIX an underscore is used as separator instead of a dash. E.g. make install PLUMED_LIBSUFFIX=2.1 will result in an executable named plumed_v2.1. This fix a potential problem (see Installation). Fixed erroneously reported message about MPI at the end of ./configure. Changed warning message about undocumented components. PLUMED now says in the log file if it was compiled from a dirty git repository. Fixed a problem leading to rare random crashes when using METAD with WALKERS_MPI and multiple processors per replica. Small change in numerical accuracy of lattice reduction. Should be more robust when running with highly optimizing compilers. Fixed a bug in normalisation of kernel functions. This affects HISTOGRAM If these actions were used with previous versions of the code care should be taken when analysing the results. Notice that branch 2.1 will not be longer maintained! All users are invited to switch to version 2.2. Fixed a bug in configure together with –enable-almost. The check for lbz2 library was not working properly.